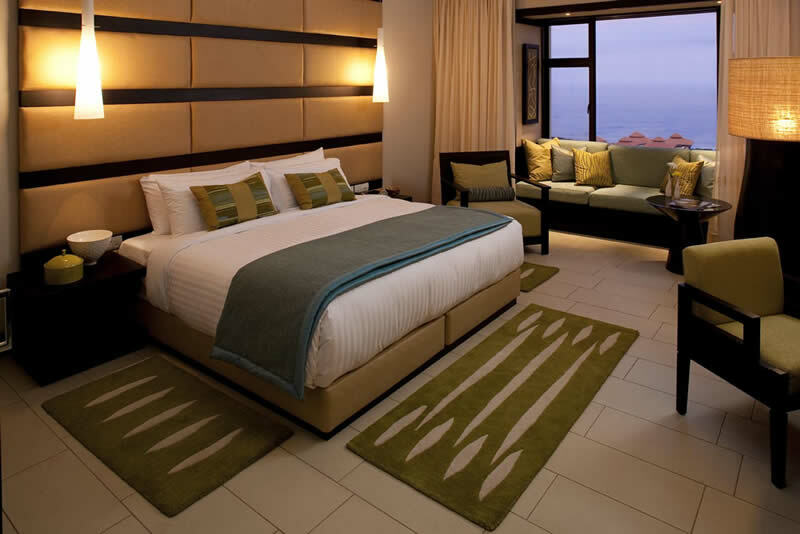 Zimbali Resort has 154 well-appointed rooms, offering scintillating views of the Indian Ocean, oversized verandas, and elegant decor of stone, wood and earth tones. 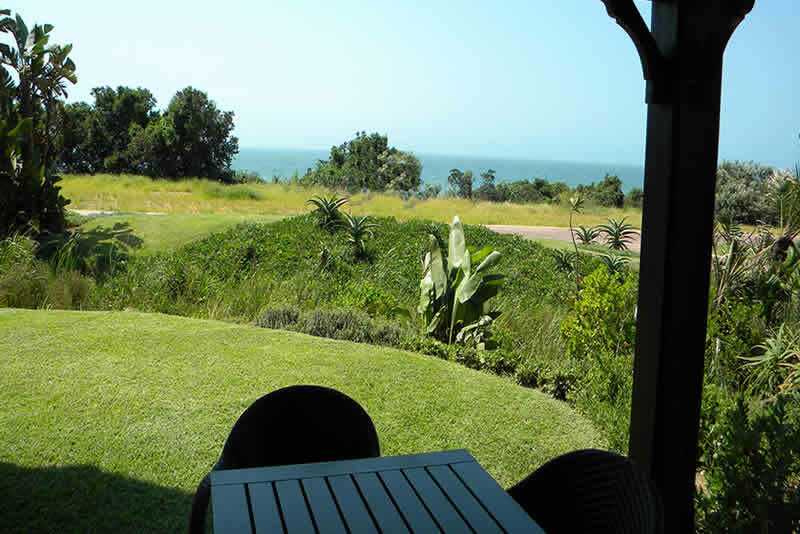 The inspiration for which comes from the area’s breathtaking natural surroundings. Deluxe Rooms capture the essence of contemporary African living within its modern aesthetics imbued in both décor and layout. 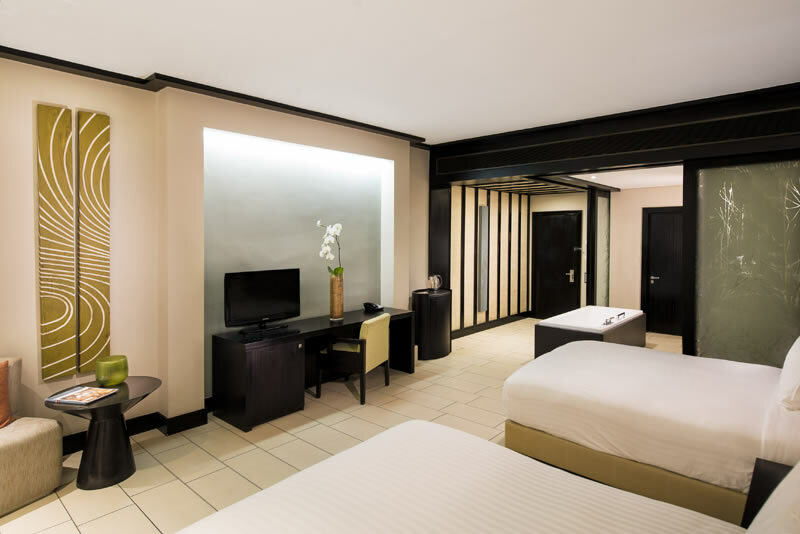 A Deluxe Room features an impressive 46 sq meter space; warmly lit with down and aerial lighting while a luxurious king-size bed compliments the size of the magnificent room. The room hosts a feature bench partnered to a bay window, a working desk with HSIA and a walk-in wardrobe with a digital safe. The open plan layout leads from a bathroom wrapped by part-frosted glass sliding doors and a separate private toilet, through to a charmingly furnished space into an uninterrupted sea view. 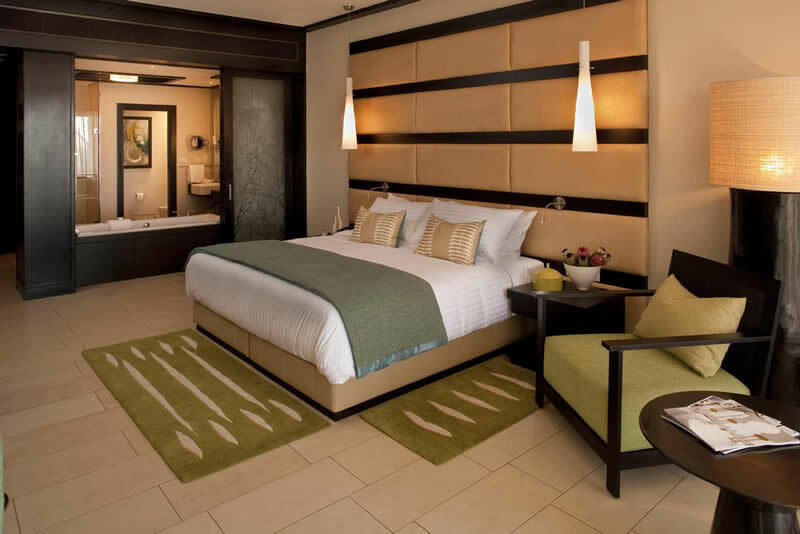 Deluxe Garden Rooms feature king-size beds and share a tranquil garden view on the banks of luscious surrounds leading directly into the main leisure areas of the resort. The open planned space is warmly lit with down and aerial lighting to accentuate the charming yet modern furniture. 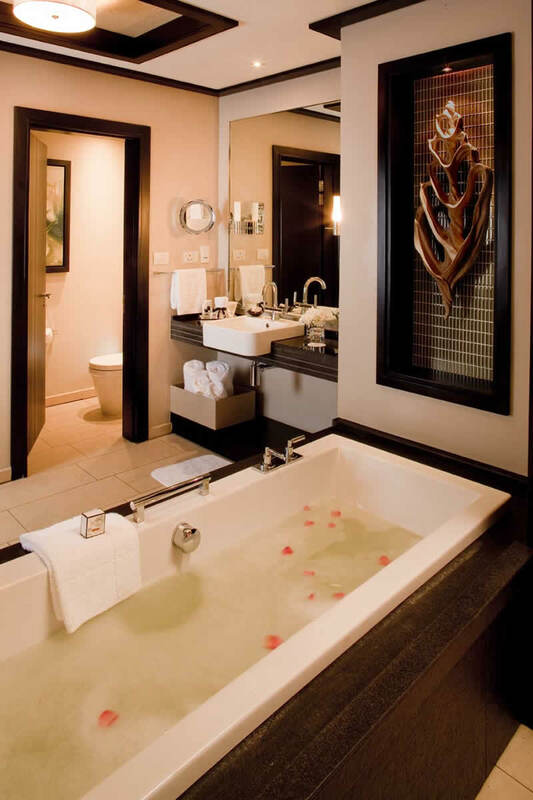 The authentically African inspired décor is spread across the rooms which all feature a walk-in wardrobe with digital safe, work desk with HSIA and a bathroom wrapped in part-frosted glass sliding doors with a shower, bath and a private toilet. Deluxe Sea view share an experience of open planned space all warmly lit with down and aerial lighting to accentuate the charming yet modern furniture. The authentically African inspired décor is spread across the room which features a walk-in wardrobe with digital safe, work desk with internet and a bathroom wrapped in part-frosted glass sliding door with a shower, bath and a private toilet. The 46 sq meter rooms feature an exquisite full view of the Indian Ocean from their own private walk-on patios. Room Size: 46 sq.m / 495 sq.ft.